Description: These three species were all formerly considered to be a single species, Desmognathus ochrophaeus. All three of these species exhibit highly variable coloration and are best separated from one another by location. 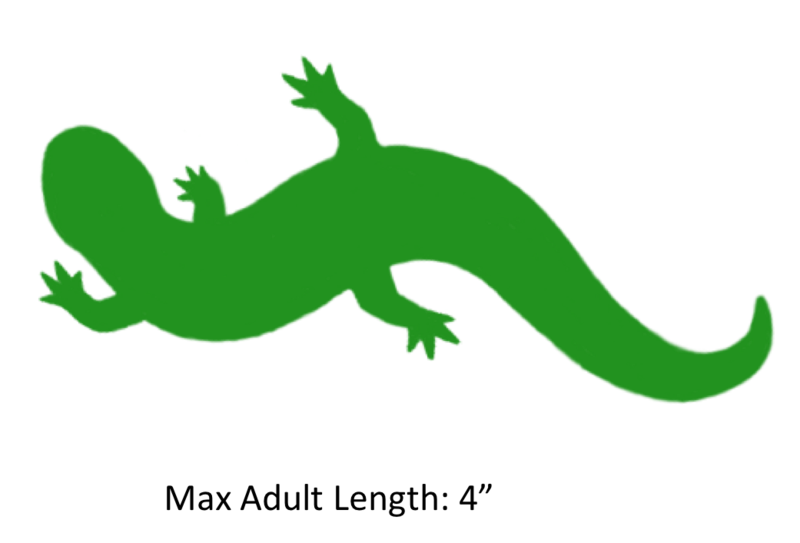 Individuals of all three species have a round tail and a light line from the eye to the angle of the jaw. Some individuals may have a stripe down the back that can vary in color from yellow to orange, red, or brown. This stripe can be irregular or straight. Other individuals may have spotting or flecking on the back instead of a dorsal stripe and others, especially males, may be dark with little or no patterning. Some individuals may exhibit red legs or cheek patches similar to those of several distasteful species (Plethodon jordani andPlethodon shermani). Habitat/Range: These three species are very common in the Blue Ridge Mountains of western North Carolina. Ocoee salamanders are found in southwestern North Carolina and are separated from the Carolina mountain dusky salamander by the Pigeon River. Carolina mountain dusky are found in the central portion of the North Carolina Blue Ridge. 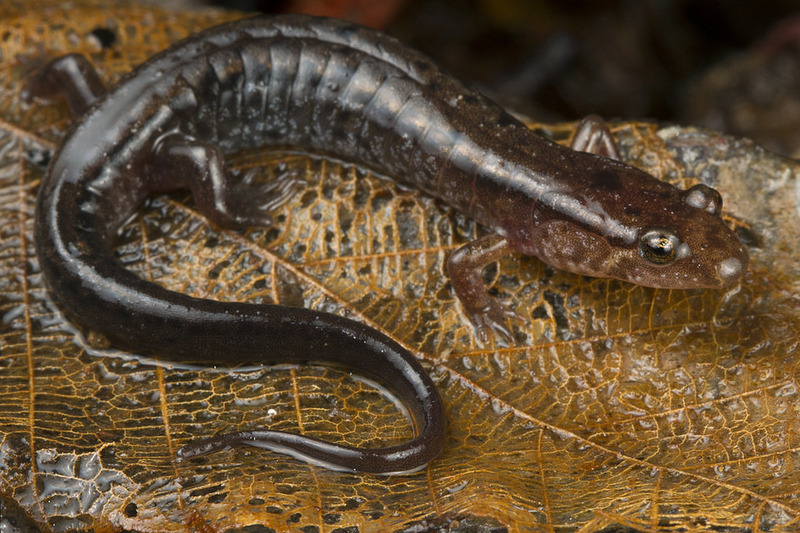 Blue Ridge dusky salamanders are found furthest north and hybridize with Carolina mountain dusky salamanders at some locations where the two species come into contact. 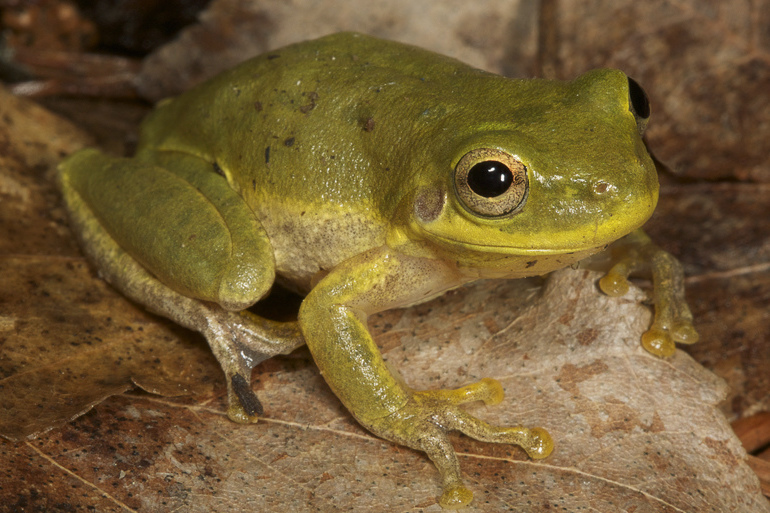 Individuals of all three species may be found along streams, in seepage areas, and on wet rock faces. Some individuals may be encountered far from water, with salamanders at higher elevations tending to be more terrestrial than individuals at lower elevations. Diet: All three species of mountain dusky salamanders are generalist predators which feed on stream and forest floor invertebrates. Salamanders of these three species are active almost exclusively at night and may be found climbing on vegetation while foraging, often far from water. Reproduction: Females of all three species deposit their eggs under moss, rocks, or logs or under logs in or near flowing water. The female remains with her eggs until they hatch. 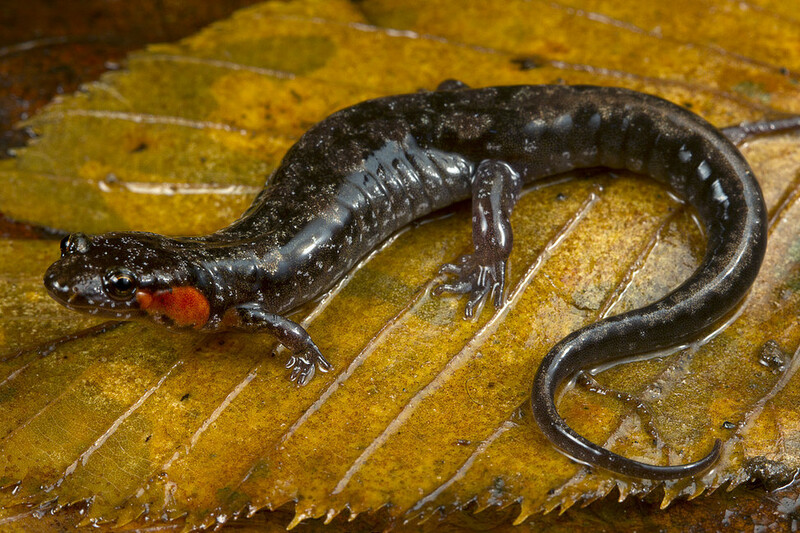 Hatchling salamanders emerge from their eggs with external gills and spend up to 10 months as fully-aquatic larvae before transforming into adults. 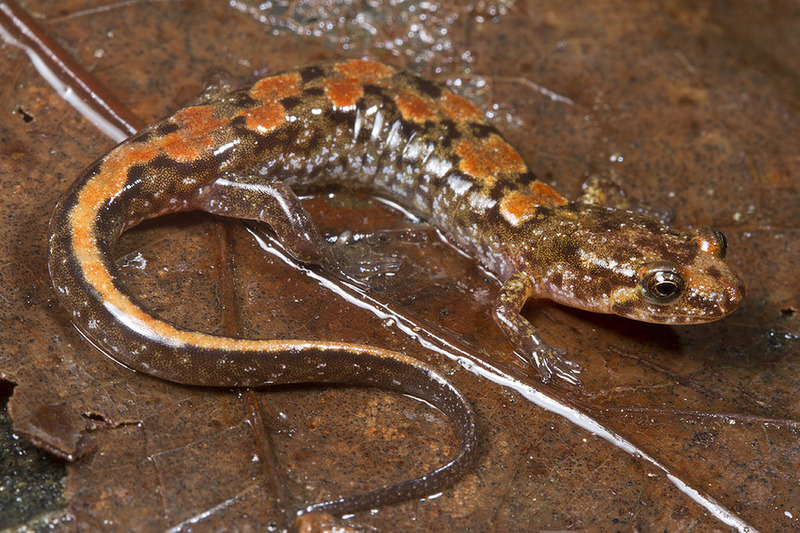 Miscellaneous: These three species are among the most abundant salamanders in many areas within their range. 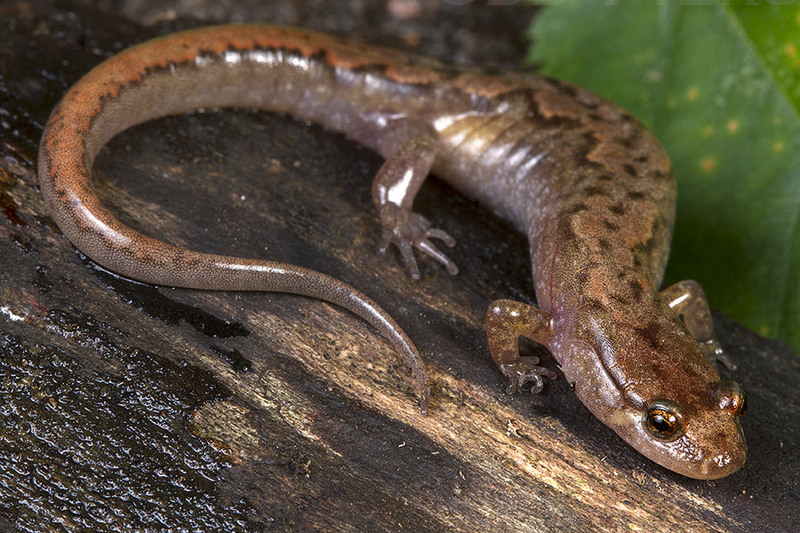 Carolina mountain duskies in some areas may reach densities of over 2,500 salamanders per acre. The shaded regions moving from southwest to northeast represent the ranges of the Ocoee, Carolina mountain, and Blue Ridge dusky salamanders in North Carolina, respectively..